University of Oklahoma officials were seeking a $25 million donation from billionaire oilman Harold Hamm last year, records show, at a time when scientists at the school were formulating the state's position on oil drilling and earthquakes. They came up with a position that squared with Hamm's, saying most of the hundreds of earthquakes rattling the state are natural and not caused by the oil industry. But they didn't get the $25 million to build "The Continental Resources Center for Energy Research and Technology." And since then, the university's Oklahoma Geological Survey (OGS) has reversed that position. It now says that most of the quakes are "very likely" triggered by oil and gas activities. Hamm, the founder, chairman and CEO of Continental Resources Inc., said he never seriously considered the university's request. "We never talked about it," he said in a brief interview in Washington, D.C., this month. Then, he chuckled, "Well, I think they may have talked about it." University spokeswoman Catherine Bishop confirmed there is no "active proposal" for a $25 million Continental building. State Rep. Jason Murphey, a Republican who has criticized the university's handling of earthquake research, said he was startled to learn that school officials had been seeking such a large donation from Hamm. "There are all kinds of transparency and conflict-of-interest issues with that," said Murphey, whose constituents in Guthrie have been regularly rattled by quakes. Oklahoma's earthquake rate has been rising since 2009, when the state had 20 earthquakes of magnitude 3 or greater. Before that, there were usually one to three each year. By 2013, that grew to more than 100. Last year, there were 585. This year, the state is on track for more than 800. By 2012, seismologists at the U.S. Geological Survey linked the surge in earthquakes to disposal of wastewater from oil and gas activities. The fluid lubricates the faults, causing them to slip. But their counterparts at OGS have wavered amid concerns about derailing the state's most prominent industry and apparent pressure from oilmen such as Hamm (EnergyWire, April 27). Continental Resources founder and CEO Harold Hamm. Photo courtesy of Continental Resources. Hamm is a looming figure in Oklahoma and was already a top donor to the university before officials sought the $25 million donation last year. OGS, which is part of the university, veered toward linking the seismic swarms to oil and gas drilling in the fall of 2013 when it joined in a USGS statement about the rising earthquake hazard in the state. But after that, state seismologist Austin Holland was summoned to "coffee" with Hamm in the office of university President David Boren (EnergyWire, March 3). Hamm has said that he was actually concerned about Holland's research linking quakes to hydraulic fracturing and was not trying to bully him (EnergyWire, May 11). "We care about the industry," Hamm said. "When people disparage parts of it, I want to know why. I want to know what basis they have for doing that." 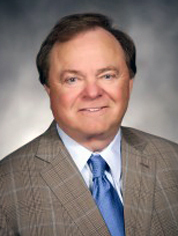 Boren serves with Hamm on Continental's board of directors and has received $1.6 million from the company since 2009. After the coffee meeting, Hamm continued to press Boren on man-made earthquakes, according to emails obtained by EnergyWire. Hamm urged Boren to prohibit Holland from talking to reporters about quakes and instead have the university's spokeswoman handle such questions. When The New York Times wrote about Oklahoma earthquakes in December 2013, he forwarded the story to Boren with a note: "This situation could spiral out of control easily." Just before Christmas in 2013, Hamm complained to Boren, a former U.S. senator, about Democrats in Congress pushing for hearings on drilling-related quakes. He worried that continued discussion of earthquakes could lead to more regulation of the industry. "You can now bet they are on a path to bring forth testimony in Congress which will lead to more unnecessary regulations of the state's number one industry as well as more unmerited publicity," Hamm wrote in an email. A month after that angry message to Boren, OU officials were developing their $25 million pitch to the billionaire oilman. Among the ones working on the pitch was Larry Grillot, then the university dean in charge of the geology and geological engineering departments, along with OGS. Details of the effort were contained in thousands of pages of emails obtained by EnergyWire under the Oklahoma Open Records Act. A Jan. 22, 2014, email to university fundraising chief Tripp Hall referenced Hall's "upcoming conversation with Dean Grillot and later Harold Hamm regarding a $25 million (+/-) proposal to connect Continental Resources more closely to OU." Larry Grillot, retired dean of the Mewbourne College of Earth and Energy at the University of Oklahoma. Photo courtesy of University of Oklahoma. A week before that memo went out, Grillot had called on Holland and OGS Director Randy Keller (both below him in the chain of command) to develop a "position statement" on whether earthquakes were being caused by drilling. "I think it would be appropriate for the OGS to have a position statement regarding Oklahoma earthquake activity, etc.," Grillot wrote. "I have prepared a draft document (attached) for you to edit as you see fit." In that first draft, Grillot wrote, "Overall, the majority, but not all, of the recent earthquakes appear to be the result of natural stresses." The statement went through at least seven revisions, but Grillot's original language about "natural stresses" remained in the final version posted Feb. 18. Holland, the seismologist at OGS and the state's lead earthquake researcher, told a co-worker he had qualms about Grillot's language on "natural stresses." Holland wrote in his email that the statement was "written primarily by the dean" but that he "tried to make some changes that help me feel a little better about things." He said it was "problematic" to point to natural stresses because earthquake activity triggered by wastewater injection "is also the result of natural stresses." Grillot is a geophysicist who worked for Phillips Petroleum Co. for 30 years before retiring in 2003. He is also a board member at Pioneer Natural Resources, which owns coalbed methane wells in a part of Colorado where USGS has said oil and gas activities are causing earthquakes. He's been paid at least $600,000 by Pioneer since 2013. Nothing in the emails and other records reviewed by EnergyWire make a direct connection between man-made earthquakes and the contribution university officials were seeking, but they occurred around the same time. Grillot and other officials would likely have been aware of both. Attempts to contact Grillot at his home phone number and work and personal email addresses were unsuccessful. But an email conversation after the position paper was published shows he was aware of the perception of a conflict of interest on the issue of man-made quakes. Writing on a separate issue, he mentioned to Bishop, the university's vice president for public affairs, that he had sought to stay out of the limelight on earthquake issues. "I have decided to avoid any media interviews, etc. on the topic of induced earthquakes, because of my past and current association with the oil & gas business," Grillot wrote. "This, in my opinion, could result in accusations of a conflict of interest, which could in turn reflect poorly on the university." Bishop defended the university's handling of the issue of man-made earthquakes. "The university has more than once expressed its total commitment to academic freedom in this matter," she said. In email conversations among Grillot and other university officials, the $25 million request is referred to as "the Continental opportunity," "the Continental ask" and the "Continental building." By the time Boren met with Hamm on April 11, 2014, it had become the "Continental Resources Center for Energy Research and Technology." 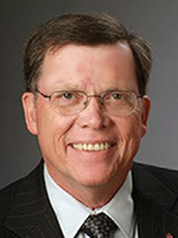 The elegant proposal prepared for the meeting said the lobby of the new building would be named after Hamm "and would recognize his contributions to the industry" and to Oklahoma. "OU greatly values its relationship with Mr. Hamm and his leadership team," the document states, "and welcomes their ideas and input." Bishop said the proposal document "is obviously a draft proposal which was intended for internal discussion within the university development office and not for distribution to others." Hamm did offer input three months later. In a meeting at Continental headquarters in downtown Oklahoma City, he said he told Grillot he wanted people fired. "Mr. Hamm is very upset at some of the earthquake reporting to the point that he would like to see select OGS staff dismissed," Grillot wrote in a July 16, 2014, email to colleagues at the university, obtained by Bloomberg News and EnergyWire and first reported by Bloomberg. Hamm also offered to join the committee searching for a new director for the geological survey, according to Grillot's email. Keller, then the OGS director, was in the process of retiring. Hamm was not put on the search committee, though another university official was added around the same time. No scientists were dismissed from OGS, but the university is closing an earthquake observatory near Tulsa, leading to the resignation of two employees. The employees, who are involved in earthquake research, have declined to relocate to the main campus in Norman, south of Oklahoma City (EnergyWire, May 20). Hamm also indicated to Grillot that he would be "visiting with Governor [Mary] Fallin on the topic of moving the OGS out of the University of Oklahoma." Asked by EnergyWire in an April interview whether he was contributing to OGS or had sought to influence the selection of a new OGS director, Hamm responded with what seemed to be a non sequitur. "If there's an issue of OGS being located at the university, if that precludes them talking to industry, then it needs to be moved," Hamm said. Jeremy Boak, who has been working as director of the Center for Oil Shale Technology and Research at the Colorado School of Mines, is to start as the new OGS director in July. In the 1980s, he was a geologist for ARCO Inc. The reversal of OGS's position on earthquakes in late April came amid the retirements of Keller and Grillot, whose last day was May 29. It was overseen by interim Director Richard Andrews, who had privately mocked OGS statements that the quakes were natural. It coincided with a reversal of the state's position. Gov. Fallin (R) had been referring to "natural earthquakes," but on the day OGS released its new position statement, she launched a state website that said, among other things, that most of the quakes were "very likely triggered by the injection of produced water in disposal wells." By then, according to university spokeswoman Bishop, the $25 million request to Hamm "was not active." Click here to read the email records. Click here to read the fundraising proposal.